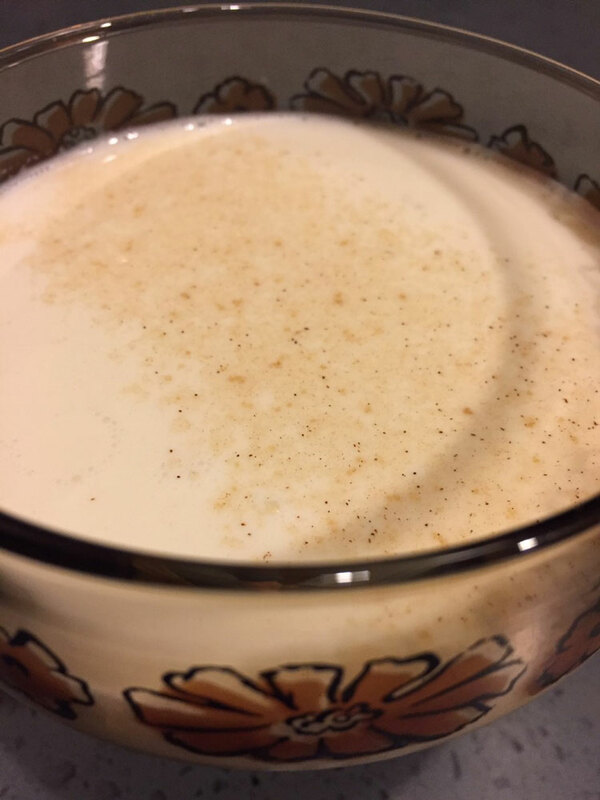 Here’s something that’ll be no surprise to you, pal (as you’ve read this blog for years and years, and know me so well, and all that): I’m not opposed to a good dessert drink. Actually, I’m a dessert drink proponent, and feel that in our modern must-be-brown-and-bitter (I like brown and bitter, too, by the by) culture, sometimes people frown at slightly creamier and sweeter sippers – but not me! Anyway, the king of the dessert drinks, and an overall classic since 1916, is the Alexander, and I’m a big fan of its perfectly-balanced balance. I’ll have one fairly regularly (like, every six months or some such), but recently I was craving one and realized – GASP! – I was out of crème de cacao! What’s a boy to do? Well, I’m not one to sit around and not have a drink at all just being due to one missing ingredient. Instead of making sorrows, I make solutions! And really bad sayings, hahaha. In this case, my solution was subbing in another component that has the crème de cacao’s sweetness and flavor to the drink – though a different flavor as instead of chocolate, see, I went nutty, with Dumante Verdenoce pistachio liqueur. Really! Made with care in Italy using Sicilian pistachios, it’s a lush sipper and goes perfectly with gin and cream here. Perfectly I say! The combo retains the original’s smooth velvety-ness, with the gin accents and now some nutty nuttiness. Lovely! Especially when topped with a shake of cinnamon sugar, which I did! 1. Fill a cocktail shaker halfway full with ice cubes. 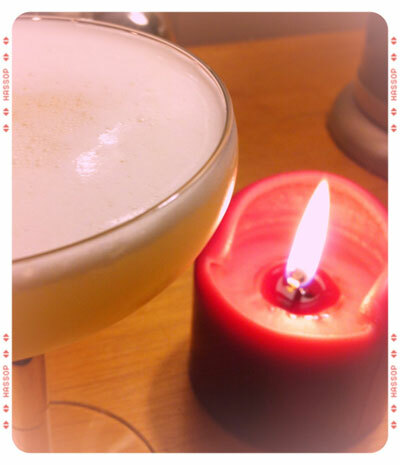 Add our trio (gin, cream, liqueur). Shake well. 2. Strain into a cocktail glass. Give a little shake of cinnamon sugar over the drink. Yum it up. What I’m Drinking: The We Have to Be in Bed by 10 P.M.
It’s April, so you might be thinking – why would anyone want to be in bed by 10 p.m. when spring is starting to spring, and the light is slowly shedding more light on the day? But hey, some of us still have to work, and age weighs heavy on shoulders, and, well, I like to go to bed early-ish and read (comics), and maybe have a sip here and there while I read. And this is a sweet drink for being in bed at this time, due to its usage of The Bitter Truth Pink Gin, a beautiful combining of well-crafted gin and aromatic bitters (and you know you can trust the Bitter Truth folks when it comes to that), combined with orange juice (good to citrus up before bed, as it’s healthy and all), an egg white (which bring a lovely nighttime texture, as well as a bit of protein), and simple syrup – that kiss of sweetness you want before tucking yourself in for a night of sweet, sweet, dreams. Now you may want to go to bed a little early with one of these, too! The We Have to Be in Bed by 10 P.M.
1. Fill a cocktail shaker halfway full with ice cubes. Add the Pink Gin, orange juice, egg white, and simple syrup. Shake really well. 2. Strain (through a fine strainer if you have one) into a cocktail glass. Drink and dream. As spring continues shaking off winter, and the world continues its slow movements, various plants are springing up and blooming and peeking through the cold and snow (if you still have snow) and such. One of which – which really, toughs it out pretty well throughout the earth’s whirls – for me is rosemary. I have, as do lots up here, lots of rosemary. And while it’s fragrant and a nice herb to have around, sometimes, you have to think outside the box to decide what to do with it all. So: rosemary simple syrup! Or making a giant rosemary robot. I tend to go for the former, but if you go for the latter, okay! 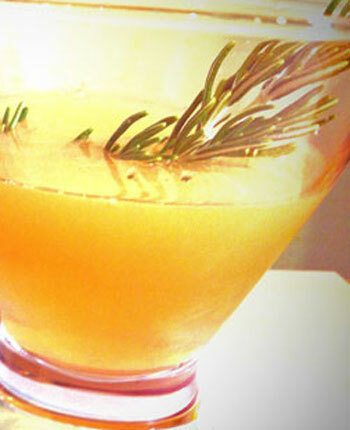 So, rosemary simple, which goes perfectly with rum and herbal-sipper Becherovka from the Czech Republic. So, if you have a little rosemary happening, now you know what to do with it. 1. Fill a cocktail shaker halfway full with ice cubes. Add the rum, Becherovka, and rosemary simple syrup. Shake well. 2. Strain the mixture into a cocktail glass. Garnish with the rosemary sprig. A Note: To make rosemary simple syrup add 1 cup fresh rosemary leaves, 2½ cups water, and 3 cups sugar to a medium-size saucepan. Stirring occasionally, slowly bring the mixture to a simmer over medium-low to medium heat. Then lower the heat a bit, keeping the mixture at a simmer for 5 minutes. Turn off the heat, and let the syrup completely cool in the pan. Strain through cheesecloth or a very fine strainer, and then store in an airtight container in the refrigerator. Okay, there has to be a drink named this, right? It’s just too good not to have been utilized by some creative bartender (of which there are millions, lucky us), and so whomever has done so, my apologies. And if really there isn’t, than, wheee! Anyway, as you might expect from this name I’ve been mulling over, this is a rye drink, and one that hews close-ish to a rye Manhattan, which I think is a good place to start. Another good place to start is the rye I’m using here, Clyde May’s rye. Clyde May’s is made by the Conecuh Distillery and is named after Alabama’s most famous bootlegger/moonshiner from days of yore (meaning, days when we had moonshiners, and not liquor stores one could trot into, or fire up online). I had their bourbon in a Mint Julep not too long ago, and you can go read about it. But now, it’s rye time, cause, as the drink name tells us, Rye Not? 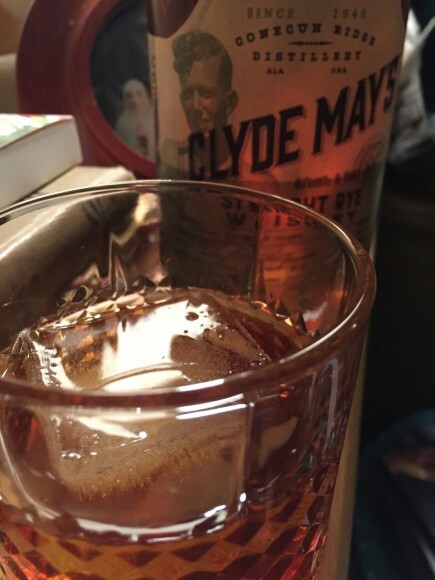 The Clyde May’s rye is aged a minimum of three years and rolls off the tongue at 47% ABV. On the nose, it delivers some spice, caramel, and flowery notes, which unfold when sipping into a little stone fruit (apricots, I say! ), and more spice and rye goodness, and a hint of pepper and sweetness trailing. A nice sipper, but also nice in cocktails like this one, where I – after due consideration – follow up on those apricot notes I parsed out above, by mixing it with a little (don’t want to overwhelm) apricot liqueur, as well as a little peach bitters, and to bring us all home, some Punt e’ Mes vermouth. All together, a swell drink for right about now, where there’s chill still in the air, but perhaps a dream of spring coming closer every day. 1. Fill a mixing glass halfway full with ice cubes. Add everything except more ice. Stir well. 2. Add a big ice cubes or some smaller ones to an Old Fashioned style glass. Strain the mix into the glass. Sip up! Seattle has loads (most in the world, in my opinion, admittedly biased) of fantastic bartenders, some shaking more recently, and some who have shaken for years, and helped develop not only our cocktail culture, but the world’s. 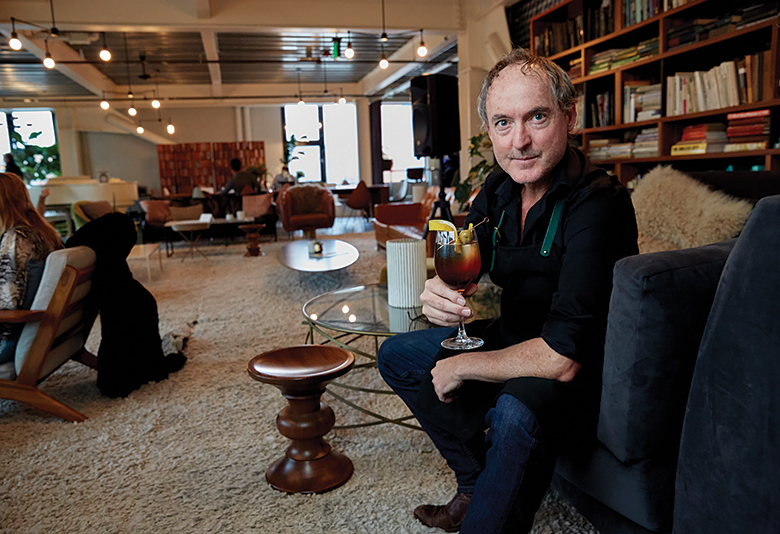 One of those who fall into that elevated category is jolly Jay Kuehner, who has bartended in a number of spots, but who is perhaps most known for his groundbreaking work at the gone-but-not-forgotten Sambar, and who is now (among other things) making delicious drinks at The Cloud Room. One of those is called the Xavi (a Spanish-inspired spritz), and I was lucky enough to write a bit about it, and Jay, for the smashing Seattle magazine. So, go read about the Xavi spritz made by Jay Kuehner. This is one of those drinks that appear to be related to a number of other sippers. 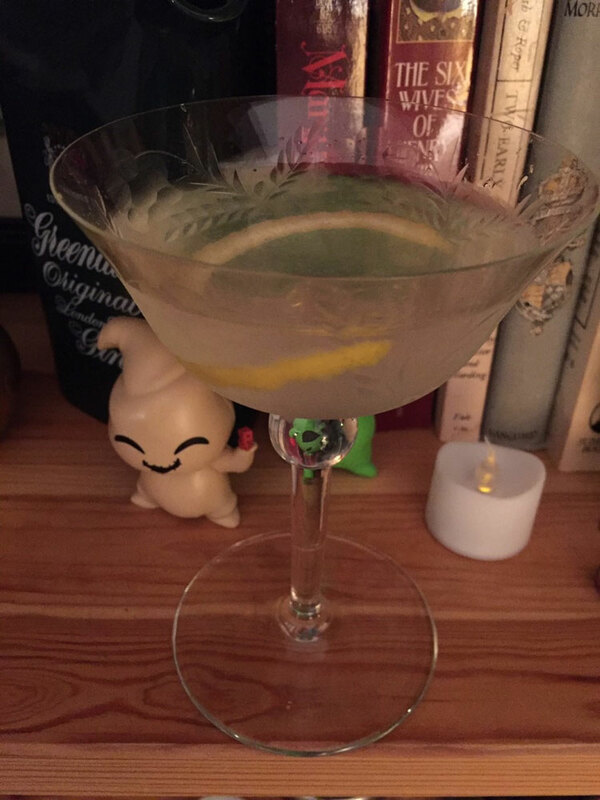 It has a connection to the Sidecar, with lemon and Cointreau, and especially what some call a Chelsea Sidecar, which uses gin as the base spirit. It’s also connected to a drink called the Leap Year (a fine drink I should talk more about here sometime), which has gin, Grand Marnier, lemon juice, and sweet vermouth. Not to mention bunches of other gin, lemon, vermouth variations (and Cointreau, too). But, with all that, I think this particular configuration is its own animal, and so while the name (perhaps obliquely) points to some of its antecedents, the end result is a worthy sipper just for its own tangy, spring-y, botanical-y, subtle-y orange-y, taste. When you sip it, springtime or not, you’ll understand what I mean, and forget about all that other stuff I mentioned. Just sip, sip, sip. 1. Fill a cocktail shaker halfway full with ice cubes. Add everything but the twist. Shake well. 2. Strain through a fine strainer into a cocktail glass (or comparable). Garnish with the twist. Generally, as a rule that most who have interacted with me know, probably cause I tend to mention it all the time, and sometimes stand on the corner on a soapbox talking about it, generally, I like all drinks to have their own individual names, even if the drinks has just been changing the number of drops of bitters in a drink. Creativity is a good thing! So, you might be surprised to find what looks, at first, to be a drink here where I have a variation of a well-known drink without a new name. BUT! At one time there was a whole list of Juleps consumed, not just the mighty Mint Julep, and “Julep” was nearly a category of drinks, with the Gin Julep being an especial favorite. And, when “Gin Julep” was ordered by drinkers who drank long before us, it was often genever, the progenitor of gin, in the drink. 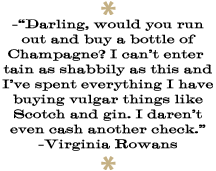 If you’re not a genever fan, well, do you have some tasting to do. First as a medicine and then as a drink, it’s been consumed happily since the 1500s, stories say. Made from malt wine, it tends to have a malted whiskey combo’d with an herbal and juniper-y gin-ness. All of which makes it intriguing in a Julep, delicious, even. And – because of all of the above – fine to just call this a Genever Julep. 1. Take one mint leaf and rub it over the inside of a metal julep cup (if you have one) or a highball glass. Be sure the mint touches each inch of the glasses inside. Drop the leaf in the glass when done. 2. Add the remaining mint leaves and the syrup to the glass. Using a muddler or wooden spoon, muddle the leaves and syrup. You want to be strong, but respectful. 3. Fill the glass half way with crushed ice. Add the genever. Stir well. 4. Fill the glass the rest of the way with crushed ice. Stir once. Garnish with a mint sprig. A Note: To be traditional, you must crush the ice in a cloth bag. But if this is too much work, just start with crushed ice. 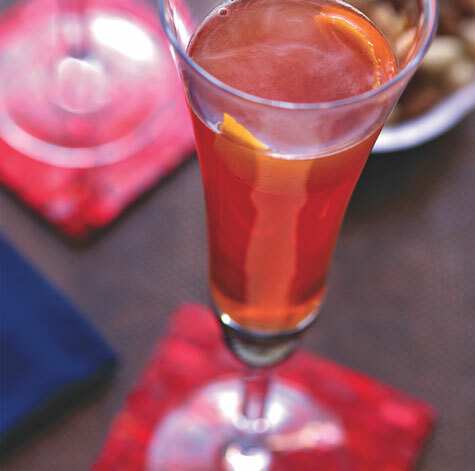 Beyond the fact that this is a tasty drink – double bitters, bourbon, bubbly, Cointreau – I love the story of the Seelbach. It was once thought an uncovered treasure found in some ancient texts, and brought out of the mists of time for the drinkers of the future. But, turns out, the whole story was made up. Cocktails should have histories like this, sometimes, cause drinking should be fun (also, to read the whole story in more detailed, check it out on Liquor.com) and sometimes made up stories are fun, too. Heck, it tricked me, but I still believe it’s fun, and like drinking the Seelbach, too. Try it, and I’m guessing you will, as well. 1. 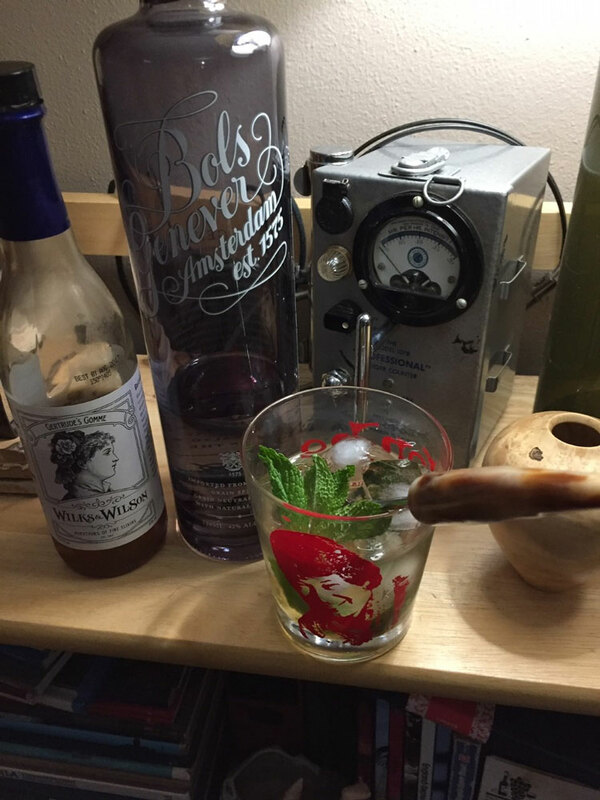 Pour the bourbon, Cointreau, and the two bitters into a flute glass. Stir briefly. 2. Fill the flute almost to the top with the chilled Champagne or sparkling wine. Stir again, but don’t get nutty about it. Garnish with the orange twist.